The house was quiet, as I placed the small white lights on the tree. Night had fallen, and the tree lights were softly reflected in the paned window glass on both walls that framed the corner of our living room. The ornaments came next, one-by-one, in silver and matte white. Sprigs of red berries and large delicate snowflakes filled in the gaps, before, at last, the star touched the top, its highest point so close to the ceiling that only a piece of paper could be imagined passing between them. I stepped back. From floor to ceiling, the evergreen tree had been transformed. Perfect. I sat on a small couch in my living room, drinking in the fragrance of the freshly cut fir, staring at the still beauty of the Christmas tree, alone in the soft light of Christmas. My mind raced to my childhood. My teen years. Then, I saw myself as a young man, setting up my first tree away from home. I remembered romantic evenings with my wife, listening to the Carpenters, staring at trees of other days. I smiled at the memory of my four small boys, each with dancing eyes, one-by-one sitting on my lap over time, reading Christmas books in front of the Christmas trees of their childhood. I saw my family grown up now—and a new generation of six grandchildren—gathering around this tree on Christmas morning in a few weeks. I dreamed of it all, as I sat alone. And, I breathed a prayer, of thanks, for Christmas. Perfect. In the moment. Christmas trees are everywhere these days. In our homes. In the stores. In our churches. Government buildings. Schools. Town squares. There are some handsome ones at our Church of God Ministries “base camp” in Anderson, too. 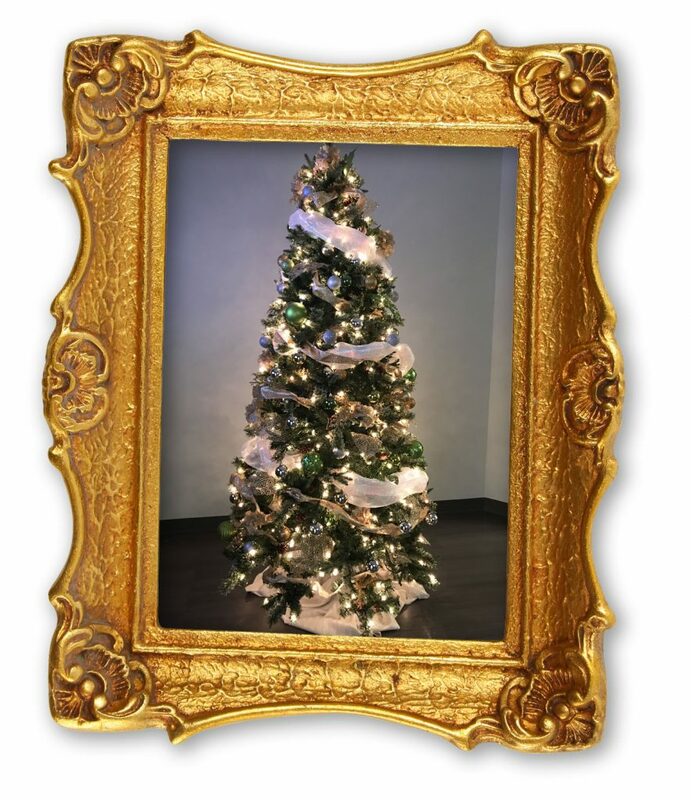 Christmas trees can at once tug at nostalgic heartstrings and, at the same time, dazzle as brightly lit art. They can be uptown and extravagant; they can be modest and “Charlie Brown-like.” They come in all shapes and sizes; they beg to be noticed and tell a story. But, what story? The origin of the Christmas tree, like so many customs we take for granted, is not altogether clear. There are no straight lines across history from today’s tree to yesterday’s first-ever. Some things are clear, though. We know that the celebration of Christmas was established across the Christian world in the early fifth century. Easter was always a day to remember in Christian communities—our Sunday, “Lord’s Day,” meet-ups bear witness to the Resurrection (and have from the Acts of the Apostles). But a day set aside to mark the Lord’s birth came only after some centuries had passed. The gospel spread first across the northern hemisphere (geography north of the equator—which includes the lands of biblical history). Ancient cultures, long before Christ, noted the winter solstice, the shortest day of the year, the darkest day of the year, the pivotal day when light began to inch back, day-by-day, until it reigned supreme in the summer. Pagans knew this was significant and assigned to this day all kinds of rituals and markers. The “Yule Log” of the Old Norse, the Saturnalia (honoring the god of agriculture, Saturn) of the Romans, and so on. We know pagans saw evergreen trees as extraordinary. We know they worshipped trees of various kinds. We know they brought evergreen branches—and sometimes the trees themselves—into their homes as they celebrated the turning of winter into spring, at the darkest evening of the year. We know Saturnalia (which featured some very popular partying) was fixed on December 25. There’s a plaque in Latvia’s capital city, Riga, that claims to memorialize the spot of the first Christmas tree (ostensibly placed in the town square in 710 AD). There’s the story of Martin Luther, walking through the German forest, one crisp, wintry night in the sixteenth century, startled by the beauty of the stars shining through the evergreen boughs of the trees, as he glanced heavenward; Luther is said to have hurried home and placed candles, representing Christ, “the Light of the world,” on an evergreen tree he brought into his home for Christmas, delighting his wife and children (there were six and four more orphans they adopted as their own). Germans were especially fond of decorating evergreen trees for Christmas, as Christianity spread across Europe and pagan customs were transformed into gospel teaching tools. Britain’s King George III married a German princess (who became Queen Charlotte); she brought Christmas trees into the English royal households. Later, Queen Victoria and her German-born husband, Prince Albert, popularized the Christmas tree throughout the English-speaking world, when theirs at Windsor Castle was pictured in the press (in 1848). But, the Christmas tree story of origin that strikes the deepest chord with me is that of Boniface, “the Apostle to the Germans.” Boniface was born in England (Wessex), felt a call to ministry, and then became a missionary to “Germania” (especially what we now know as central Germany and Bavaria). He would spend most of his life in Germany and ultimately would pass away there. He is thought to have been born in 675 AD. Like the earlier Patrick (another Englishman) daring an occult Ireland to find life in Christ, Boniface boldly proclaimed the power and wonder of Jesus to a skeptical (and often hostile) pagan Germany. In one narrative, Boniface intervenes in the ritual sacrifice of a child at the foot of an oak tree, thought by the locals to be sacred, worshipped as the Thor Oak (referring to the Old Norse god, hammer-wielding and believed to be the god of thunder, storms, oak, and strength). The ritual human sacrifice was set annually for December 24 (a nod to Thor’s presumed influence to turn the winter around into spring). Boniface (together with a couple of believing Christian companions) shows up and stays the executioner’s hand. He declares that Jesus is greater than Thor and, to prove it, seizes an axe and cuts the oak down to a stump. The unbelieving audience is certain Boniface will be struck by lightning dead, but he is not. He points to a fir tree growing near the oak stump and explains that this evergreen shall be their new tree of honor, bearing witness to the everlasting life of Christ and never again to be a witness to the blood sacrifice required by Thor. The “blood of the Lamb” has already been shed; none further must be spilled. The birth of Jesus (already in Christendom celebrated on December 25) was to be marked by the evergreen tree. The Germans of the area were astounded—and persuaded; the gospel swept through that region of Bavaria. And, the new believers, began to decorate the fir tree each Christmas thereafter. Boniface is not the stuff of fiction; his life is well documented (he left an extensive collection of letters, for instance). This story of the Christmas tree has a long history but is not mentioned in his letters. Perhaps, it is a legend. Perhaps, it has a foundation in truth, but has been embellished by time. Whatever the case, this much is clear: the celebration of Christmas doomed the pagan holidays of Saturnalia and Yuletide and reformed them into proclamations of the gospel, in an ancient (and largely illiterate) world. Evergreens once used to worship the created gods of human imagination were harnessed to declare the wonder and love of the one, true, Creator God, and His Son, born in a manger. Yule logs (fuel for the worship of the Norse God Oden), mistletoe (thought by the Druids to herald the birth of a god), and evergreen trees (prominent in pagan ritual) were all taken back from serving as object lessons in the devil’s classroom and re-born as emblems of the Messiah’s birth. They were redeemed. Restored. Reclaimed. You might say, Boniface, Luther, and others like them, “took back what hell had stolen.” For Jesus’ sake. For Christmas. Take a deep breath and sit by the soft light of Christmas and stare at your tree this year. Pray. Remember. And, dream. Maybe there is, by the appointment of heaven, another bold Boniface stirring within you for the new year. 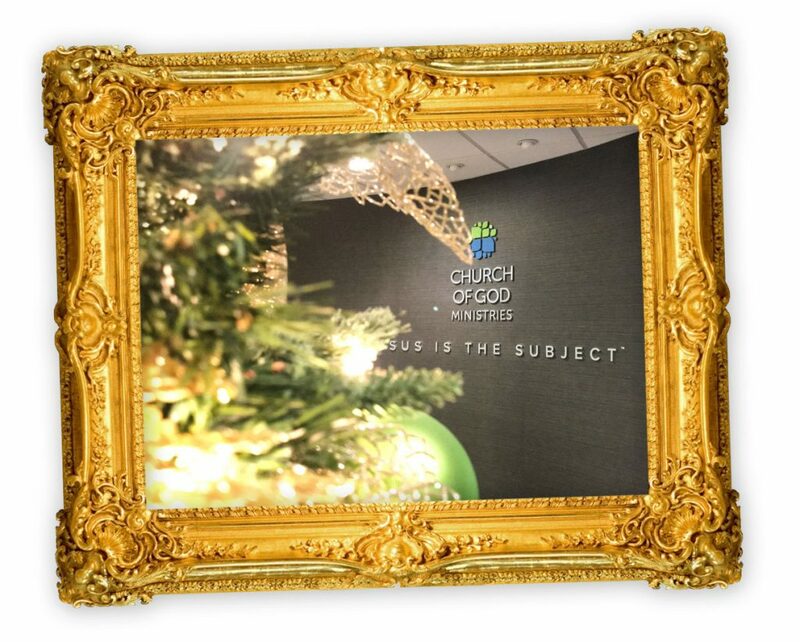 From all of us at Church of God Ministries, we wish you a merry Christmas. No, we pray for you to experience a most blessed Christmas. And, a blessed new year, too. Thanks for being a part of our Church of God family. Merry Christmas! Now get that tree plugged in.